Access gates are the finishing touch to any fence system. In addition to controlling the flow of traffic, access gates are often the most visible, most handled, and most vulnerable aspect of any fence. 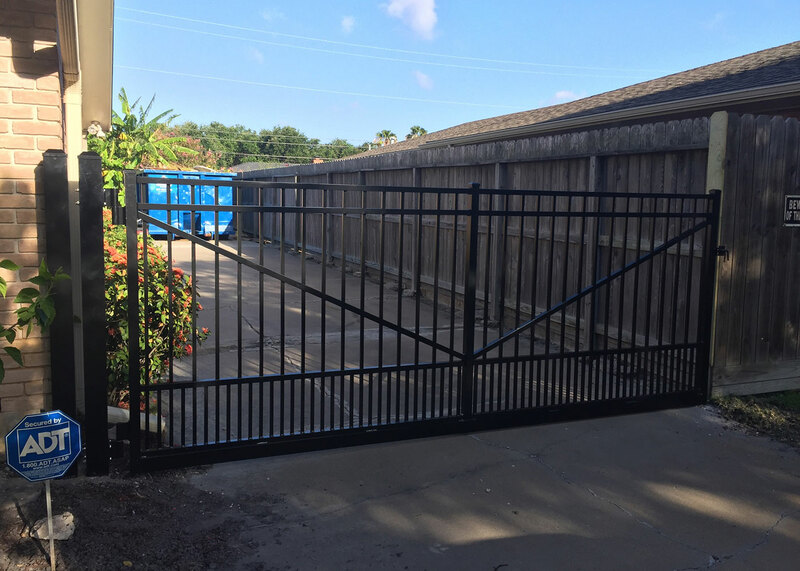 The professionals at Henry’s Fence Company have the experience needed to design and install secure customized gates for residential, office, light commercial, and industrial uses in Corpus Christi and South Texas area. Whether you need an access gate for residential or commercial property, we have the custom gate for you. Henry’s Fence Company offers the finest custom access gates and automated gate systems available in the Corpus Christi and the South Texas area. We can install a custom gate that matches the style of your new or existing fence—be it classic, traditional, or contemporary. Property owners are often unsure whether a sliding or swing gate is the best option for their access point. The choice between sliding and swing gates ultimately comes down to personal preference. Both styles of access gate can provide years of lasting use. For automatic swing gates, use of hydraulic or mechanical operators will ensure trouble free installation. Sliding gates are used more frequently in commercial or industrial applications, but can be modified for residential use. Sliding gates are ideal when there is limited space to work with, as they recede into existing fencing and do not impede on parking or driving routes. © Henry's Fence Company. All Rights Reserved.